Richard Falk is an international law and international relations scholar who taught at Princeton University for forty years. In his recent article The Menace of Present and Future Drone Warfare, he places the growing use of drones in their historical and political context. The full article is highly recommended reading. Here we excerpt the final paragraphs, reproduced with his kind permission. 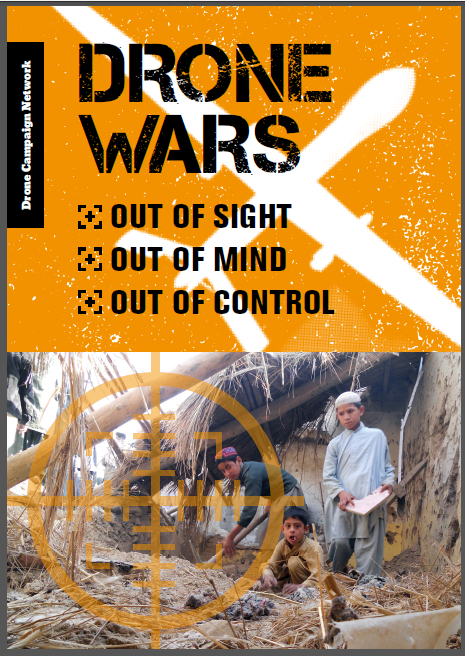 The U.S. reliance on attack drones to engage in targeted killing, especially in third countries (Yemen, Somalia, Ethiopia, Pakistan) has raised controversial international law issues of sovereign rights in interaction with lethal acts of war, especially those far removed from the zone of live combat. The increasing reliance on drones during the Obama presidency has produced unintended deaths, civilians in the vicinity of the target and attacks directed at the wrong personnel, as with the NATO helicopter attack that killed 24 Pakistani soldiers who had been deployed near the Afghan border on November 25, 2011, provoking a major international incident (although not a drone attack, it was linked by angered Pakistani officials to similar mis-targeting by drones). There are also unconfirmed reports of drone follow up raids at sites of targeted killing that seem directed at those who mount rescue operations or arrange funerals for prior victims. As with the Bush torture debate the political leadership in Washington has turned for justifications to government lawyers who have responded by developing drone legal briefs that seem somewhat analogous to the notorious Yoo ‘torture memos.’ There are, however, some differences in the two contexts that work against equating the two controversies about post-9/11 war making. For one thing, torture has a long history, having been practiced by governments for centuries, and its relatively recent prohibition is embedded in a clear norm criminalizing torture that is contained in the International Torture Convention of 1984. Torture is also enumerated as one of the Crimes Against Humanity in the statute of the International Criminal Court. Drone technology adapted to serve as a battlefield weapon is, in contrast, of extremely recent origin. Nothing in international law exists that is comparably specific with respect to drone attacks to the legal repudiation of torture. There is some resemblance between efforts by Obama law officials to stretch the conception of self-defense beyond previously understood limits to justify targeted killing and the Bush lawyers who claimed that water boarding was not torture. Expanding the prior understanding of the legal right of self-defense represents a self-serving reinterpretation of this core international legal norm by the U.S. Government. It seems opportunistic and unpersuasive and seems unlikely to be generally accepted as a reframing of the right of self-defense under international law. Perhaps, the most important difference between the torture and drone debates has to do with future implications. Although there are some loopholes involving extraordinary rendition and secret CIA operated overseas black sites, torture has been credibly prohibited by President Obama. Beyond this, the repudiation of torture has been understood in a manner that conforms to the general international consensus rather than the narrowed conception insisted upon by the Bush-era legalists. In contrast, drones seem destined to be central to operational planning for future military undertakings of the United States, with sharply escalating appropriations to support both the purchase of increasing numbers and varieties of drone. The government is engaging in a major research program designed to make drones available for an expanding range of military missions and to serve as the foundation of a revolutionary transformation of the way America will fight future wars. Some of these revolutionary features are already evident: casualty-free military missions; subversion of territorial sovereignty; absence of transparency and accountability; further weakening of political constraints on recourse to war. 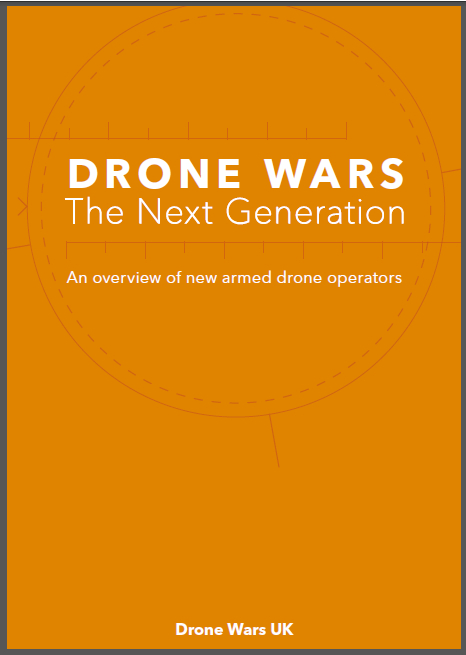 Future war scenarios involve attacks by drones swarms, interactive squadrons of drones re-targeting while in a combat zone without human participation, and covert attacks using mini-drones. 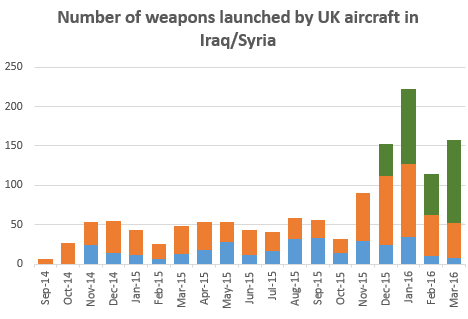 A further serious concern is the almost certain access to drone technology by private sectors actors. These musings are not science fiction, but well financed undertakings at or beyond the development stage. It is in these settings especially, where the analogy to nuclear weapons seems most pertinent, and discouraging. Given the amount invested and the anticipated profitability and utility of drones, it may already be too late to interrupt their development, deployment, and expanding sphere of use. Unlike nuclear weaponry, already some 50 countries reportedly possess drones, mainly adapted to surveillance. As with nuclear weaponry, the United States, and other leading political actors, will not agree to comprehensive prohibitions on the use of drones for lethal purposes. If this line of reasoning is generally correct, there are two likely futures for attack drones: an unregulated dispersion of the weaponry to public and private actors with likely strategic roles undermining traditional international law limits on war making and public order; or a new non-proliferation regime for drones that permits all states to possess and use surveillance drones within sovereign space and allows some states to make discretionary use of drones globally and for attack purposes until a set on constraining regulations can be agreed upon by a list of designated states. That is, drone military technology will perpetuate the two-tier concept of world order that has taken shape in relation to nuclear weapons, and reflects the consensus that both nuclear disarmament and unrestricted proliferation of nuclear weaponry are unacceptable. In this regard, a counter-proliferation regime for drones is a lesser evil, but still an evil. The technological momentum that has built up in relation to drones is probably too strong to be challenged politically. The military applications are too attractive, the technology is of a cutting edge fantasy quality, the political appeal of war fighting that involves minimum human risk is too great. At the same time, for much of the world this kind of unfolding future delivers a somber message of a terrifying unfolding vulnerability. At present, there seems to be no way to insulate societies from either intrusive and perpetual surveillance or the prospect of targeted killing and devastation conducted from a remote location. It may be contended that such an indictment of drones exaggerates their novelty. Has not the world lived for decades with weapons of mass destruction possessed by a small number of non-accountable governments and deliverable anywhere on the planet in a matter of minutes? This is superficially true, and frightening enough, but the catastrophic quality of nuclear weaponry and its release of atmospheric radioactivity operates as an inhibitor of uncertain reliability, while with drone their comparative inexpensiveness and non-apocalyptic character makes it much easier to drift mindlessly until an unanticipated day of reckoning occurs by which time all possibilities of control will have been long lost. As with nuclear weaponry, climate change, and respect for the carrying capacity of the earth, we who are alive at present may be the last who have even the possibility of upholding the life prospects of future generations. It seems late, but still not too late to act responsibly, but we will not be able to make such claims very much longer. Part of the challenge is undoubtedly structural. For most purposes, global governance depends on cooperation among sovereign states, but in matters of war and peace the world order system remains resolutely vertical and under the control of geopolitical actors, perhaps as few as one, who are unwilling to restrict their military activities to the confines of territorial boundaries, but insist on their prerogative to manage coercively the planet as a whole. When it comes to drones the fate of humanity is squeezed between the impotence of state-centric logic and the grandiose schemes of the geopolitical mentality. ‹ Drone lobby cracks open US skies – will it happen in the UK? The last paragraph must be headlines in ALL world newspapers… who can get this dome urgently ? This would be the gentleman who insists that no aircraft ever hit the Pentagon and the Twin Towers were brought down by demolition charges on 9/11!